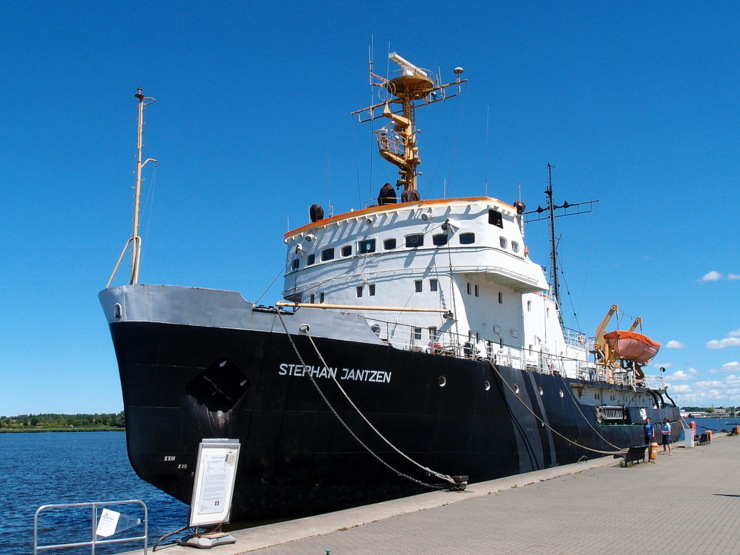 This icebreaker was built in 1967 and is named after the sea rescuer Stephan Jantzen (1827-1913). The ship is off duty now. Although there were plans to convert the ship into a luxury icebreaker for private tours to the Arctic and the Antarctic it is still waiting for a new assignment at Rostock City Harbour. This entry was posted in Ships and tagged Germany, Mecklenburg-Vorpommern, Rostock by Travelwriticus. Bookmark the permalink.